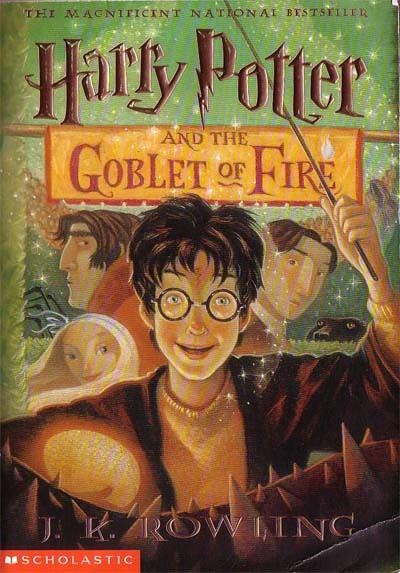 My first brush with Harry Potter began with someone shoving a copy of Goblet of Fire next to my face and shouting, "It's uncanny!" And I pretended I knew exactly what the book was and exactly who the boy on the cover was. Years later, the Lord of the Rings Versus Harry Potter rivalry began. Movies and midnight releases galore. But I avoided the Boy Who Looked A Lot Like Me. Then I let up for the release of Order of the Phoenix. I started with the first book. And the second book. And the third book the next day. By this point, Lord of the Rings was winning Oscars and there wasn't much of a comparison. I'll end with one of my pieces of investigative journalism, my visit to Oak Park's Harry Potter Deathly Hallows Release Party. Did you know that I wrote 5000 words about Harry Potter in that one week? I called it Ha' Potta' Kedavra Week. We all swish & flick on. Claiming credit for writing that stuff? Goddamned Mudblood.